The South African sun can get quite harsh at times, regardless of the season. This has brought about a great awareness of how we approach the sun and our time spent in it. Many of us do not like to be scorched when spending time outside, so we won’t find many gardens without some form of a sunscreen. 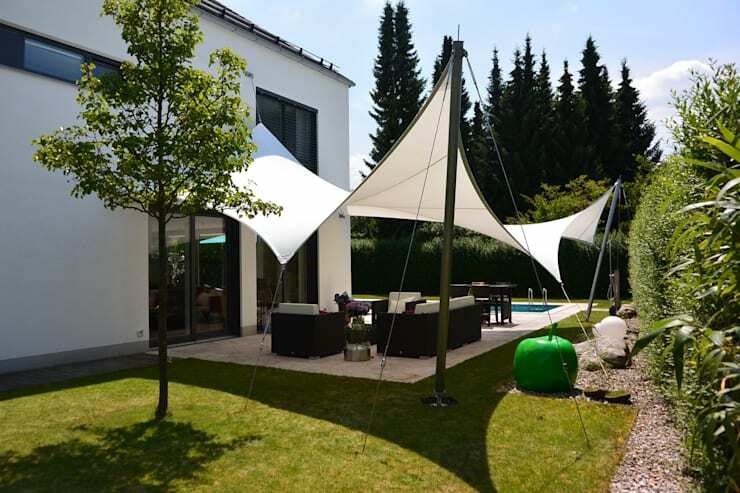 Today we will present you with 10 interesting new models, which not only provide shade, but some can also beautify your garden. Here you might get some inspiration for your own garden, or see options which you have not even thought of. 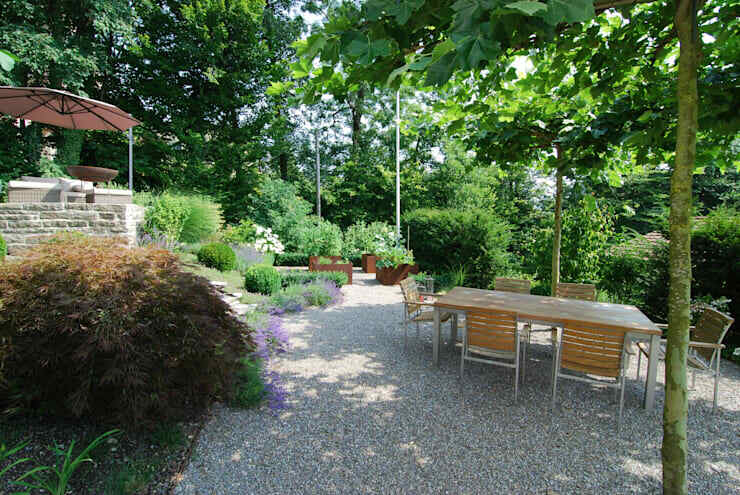 If there is any doubt left, do consult an expert on what’s best for your particular garden. A canopy is a stable cloth made of durable material that will withstand not only the sun, but also rain and even snow (if ever necessary!). Depending on the material used, it can almost keep up with a proper roof and is much more than just stylish protection from the sun. A very interesting product is this igloo. Its geodesic dome provides a wonderfully sheltered outdoor environment. However, the igloo is not only a sunscreen, but can also be used as a Jacuzzi-roof or garden shed. Let's talk about a true classic. 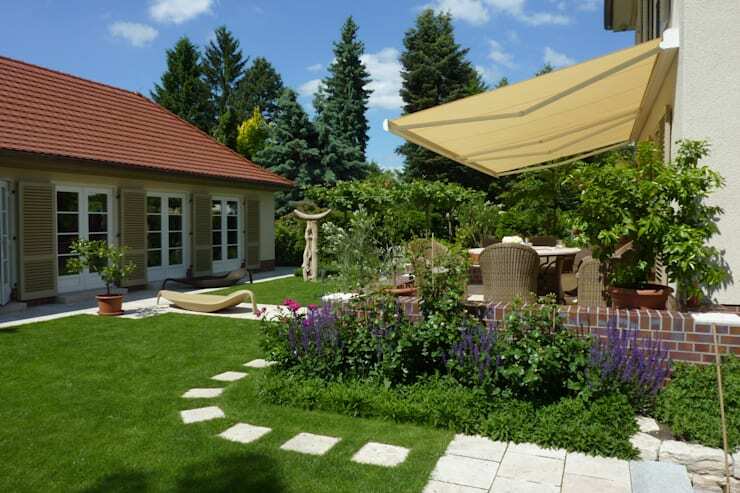 The awning has been in use since the mid-18th century, and it enjoys great popularity in many of today’s gardens. Depending on the orientation of the awning, it may also keep away rain, in addition to providing shade from the sun. Or how about this Cubola? This reinterpretation of the classic pergola is one to remember. 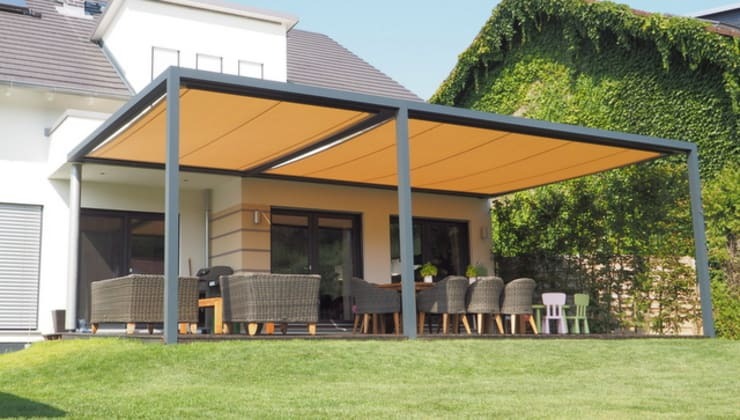 Purpose, design and architecture are here integrated skilfully—the connection of pergola construction and awning unfolds its sun protection in the horizontal plane, but can be changed at an angle. 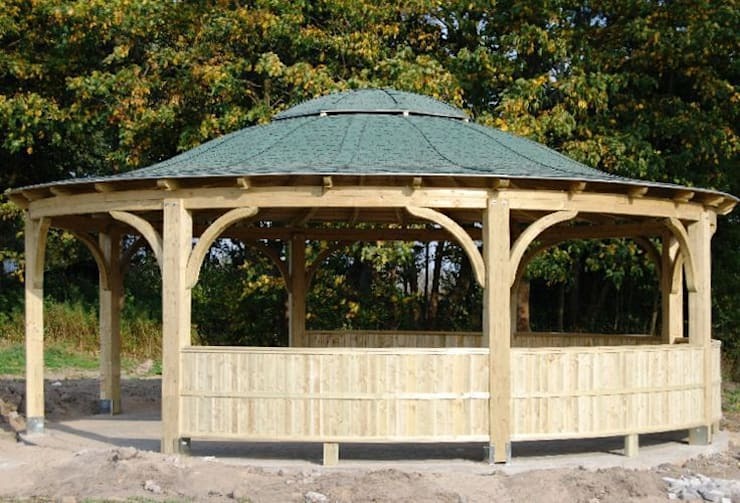 The good old pergola in this delightful traditional variant will enrapture all nature fans. The wooden structure is covered with climbers which donate such natural shade. 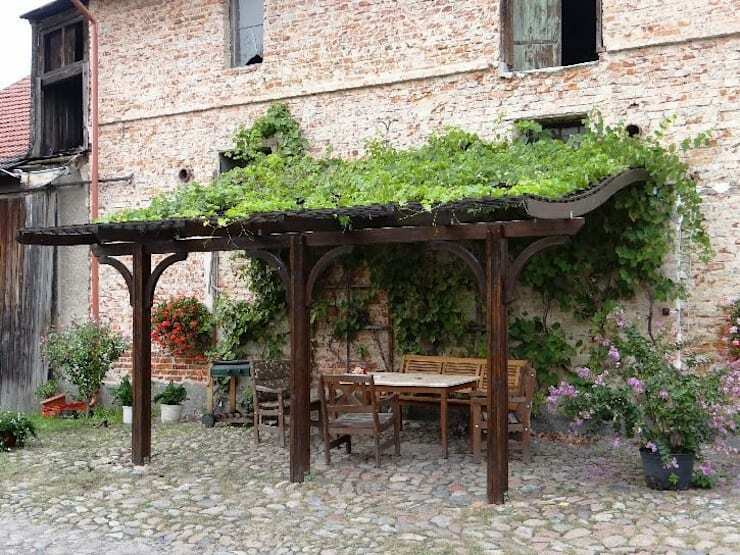 If you want to build your very own pergola as well, you can find a manual to do so right here on homify. For a simple and flexible sunscreen, you cannot go wrong with a sun umbrella. Variants include round and angular, large and small – anything you can imagine. They are simple to set up, and the sun rays are shielded hastily. 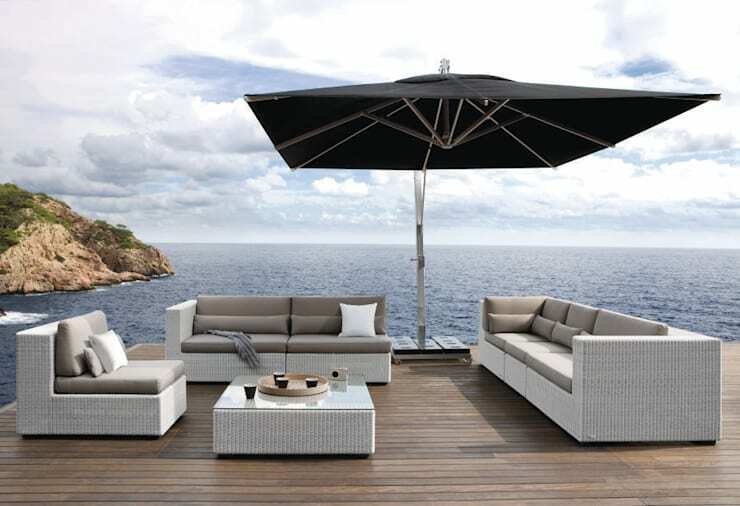 As a parasol is firmly anchored to a balcony or deck only in the rarest cases, you can easily change it and adapt to the sun. Those who prefer a more durable option and also love Mediterranean style, can draw a natural stone wall into consideration. The model that we see here was also equipped with a roof, so that a protected area is created in which a beautiful setting can be embodied. Whoever is lucky enough to call a piece of land with native trees his own, may not even be in need of an additional sunscreen. The leafy crowns of trees provide cooling and a very charming effect when the sun's rays make their way through the branches. A sunscreen on a larger scale can take on the form of a pavilion. 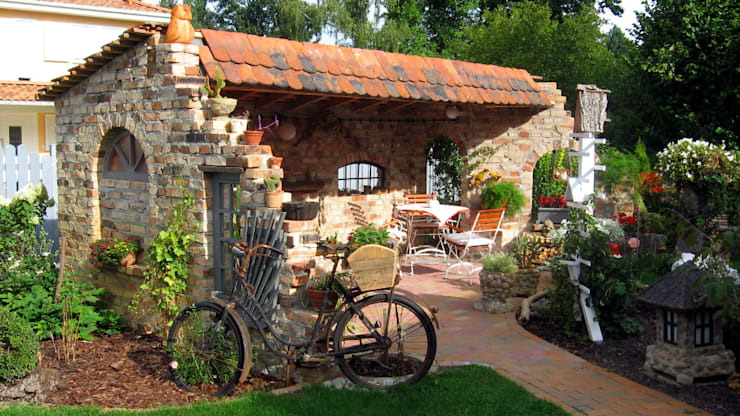 This round house with roof and open sides is a great way to organize a barbecue or host a cosy coffee party. Perfect for the one who has enough space in the garden! Airy and light, this pergola frame is made of iron. By filigree construction it is less imposing than its already admired colleagues. The sun is here held off by bamboo mats, gently curved from the wall spanning across the terrace. Which of these sunscreen options did you like the most?